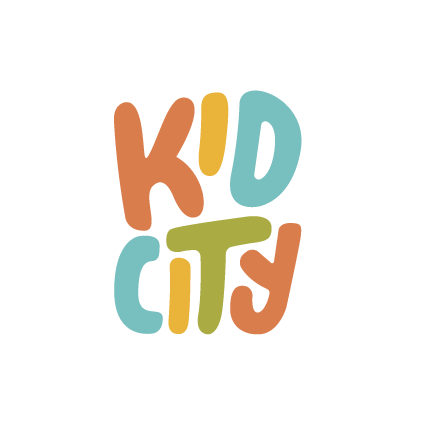 KidCity is the children's ministry of Alpharetta First Baptist Church. God made me. God loves me. The KidcCity Clubhouse environment is our Preschool area for Infants to Pre-K. We provide a learning environment that is age specific for them to learn about Jesus at our 9:30AM Connect Group hour, and our 11AM Worship hour. If you have children in this age group, it is best to park your vehicle in the back parking lot and access this environment through the KidCity Clubhouse entrance under the large canopy drive-thru. The KidCity Connect Group hour for ages Kindergarten through 5th Grade. This is the time where kids develop relationships with each other and with their leaders. We teach The Gospel Project through crafts, games, and a bible lesson with applications taking everything back to Jesus. Kindergarten through 2nd grade meet in C Building - 2nd Floor. 3rd Grade through 5th Grade meet in C Building - 3rd Floor. The floors of the Building C can best be accessed by parking in the back parking lot and entering through the POND Entrance under the large canopy drive-thru, then taking the elevator to the appropriate floor. KidCity Worship is for K-5 at 11:00 on Sundays. We seek to give kids a worship experience that is unique to their age range and includes Worship, Games, Christ centered teaching, and a super fun time. If you're child comes to our 9:30 Connect Group hour, they will be taken to KidCity Worship at 11:00 in KidCity. If you are bringing them at 11:00, you can check in at our check in station on 3rd floor of C Building. Pickup is on the 3rd floor of C building after the 11:00 worship service. Our ministries cannot happen without our volunteers who serve each week. If you would like to serve with KidCity, connect with us today! Play & Learn provides a place where preschool-aged students can have time of learning and playing. If you have a child with special needs, we would love to partner with you in ministering to your child. Please visit our Shine Ministry page for more information.